There was only one person in our household lucky enough to draw a big game tag this year. My daughter turned 12 in the spring making this her first opportunity to hunt big game in Colorado. Now, she has a late season cow elk tag for the northwest part of the state. With this being her first big game hunt, we needed a bolt-action rifle that would work well for her on this and other hunts in the coming years. 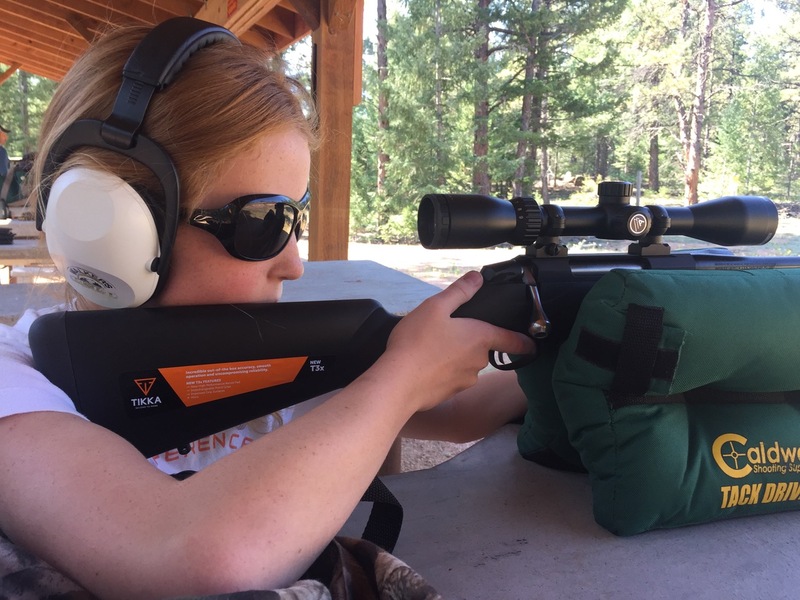 Young hunters are smaller in stature, and shooting large caliber rifles can be a painful experience. 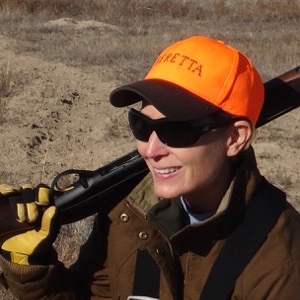 My husband, like many hunters, started with a .243 and we knew that would be the right choice to make sure our daughter didn't quickly sour from a hard-hitting gun. Late season hunts often offer opportunities for shorter distance shots so we were comfortable that the smaller caliber rifle would be sufficient in the field. This past year, Tikka released its new T3x line of bolt-action rifles. My husband owns a T3 and has been very happy with its accuracy over the years. The modifications made to the T3x line take an excellent rifle and make it even better. The gun's pistol grip and forestock are interchangeable (additional parts sold separately) allowing the grips to be more comfortable for a wide range of hand sizes. New recoil pad technology reduces felt recoil, something particularly helpful for youth hunters. The T3x Lite Compact that my daughter shot has a 12.5" length of pull making it perfect for her smaller frame, the gun also comes with a 1" spacer so the stock can be extended as she grows. All in all, we felt this would be an excellent choice for her first big game rifle. We took the T3x Lite Compact to the range and found it shot consistent groups right out of the box. It was easy for my daughter to load the magazine and she could smoothly work the action. The bolt has a 70-degree opening angle allowing the shooter to easily manipulate it without knocking the scope. This was helpful while sighting in during our shooting range practice but will be particularly important for fast and effortless follow up shots while hunting. As the season moves on, my daughter is more and more ready for the hunt. In our living room, she is practicing loading the magazine and cycling the action. To get used to quickly finding her target in the scope, she's mounting the gun on her tripod shooting sticks and getting used to holding the gun steady on her target. Then, she is using snap-caps to practice the slow and steady squeeze of the trigger and quickly ejecting the "spent" cartridge to load and "fire" a second shot. We are all looking forward to her first big game season and hope that our youngest family member will be the one "bringing home the bacon" this year!